Keen Ice, a son of leading sire CURLIN, boasts an impressive race record – a G1 winner with earnings over $3.4 million. 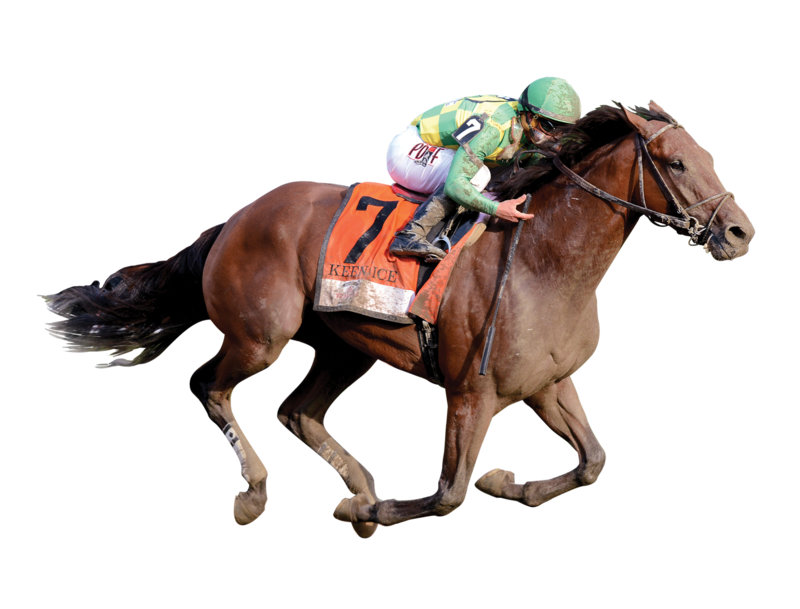 Possibly one of the most notable accomplishments of his career was defeating AMERICAN PHAROAH in the G1 Travers, making him the only horse to cross the wire ahead of the reigning Triple Crown Champion during his 3YO campaign. He is by leading sire CURLIN out of a deep female family, and he has an impressive physical, standing over 16.2 with the balance and strength that American breeders look for. defeating American Pharoah, Shaman Ghost, Frosted, etc.